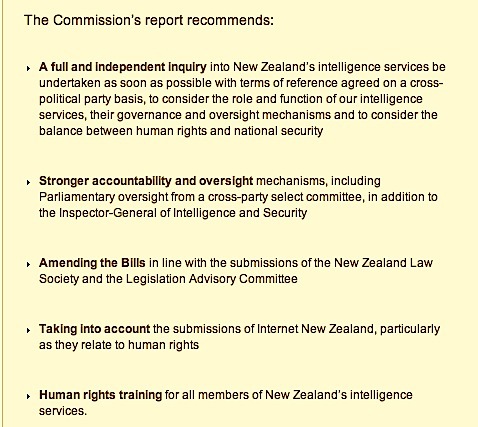 Do you find John Key’s case for expanding the powers of the GCSB convincing? 3 The Bill changes the Government Communications Security Bureau (GCSB) from being a foreign intelligence agency to a mixed foreign and domestic intelligence agency. 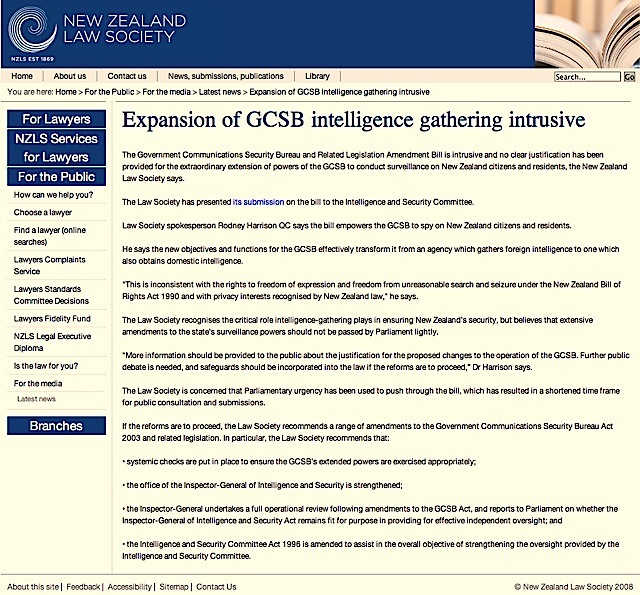 The Bill empowers the GCSB to spy on New Zealand citizens and residents, and to provide intelligence product to other government agencies in respect of those persons, in a way not previously contemplated and that is inconsistent with the rights to freedom of expression and freedom from unreasonable search and seizure under the New Zealand Bill of Rights Act 1990 (NZBORA) and with privacy interests recognised by New Zealand law. 4 The Law Society’s concerns regarding the absence of clear justification for these changes are exacerbated by the use of Parliamentary urgency, and the consequent short timeframe provided for consultation and submissions. The Law Society is concerned that, in the absence of compelling grounds for urgency, its use degrades the democratic quality of the legislative process. 5 The Law Society recommends that more information should be provided to the public regarding the justification for such changes, further debate should be held regarding that justification, further safeguards should be incorporated into the law if reforms are to proceed, and an updated section 7 report should be sought from the Attorney-General. With recent media exposure of the extent of mass surveillance by some of the GCSB’s partners in the Five Eyes international intelligence sharing arrangement, “public trust in Government intelligence agencies is at risk if surveillance activities aren’t being conducted appropriately and seen to be so”. The Human Rights Commission’s reports are here.